For many holidaymakers, nightlife in Torrevieja revolves around the abundance of great late night bars and restaurants that stay open until the early hours. This may be one of the main reasons Torrevieja nightclubs are far and few between. Many of these bars hold various types of afternoon or evening entertainment such as darts, pool, karaoke, quizzes, raffles, stand up acts and live bands. Accompanied by reasonably priced food and drink, happy hours and promotional offers, there is no reason for the vast majority of holidaymakers to visit a nightclub. A prime example of this is the amount of nightclubs to be found in London for example. The fact being, with the strict closing times in all the UK bars, there is a higher demand for nightclubs; not so here. 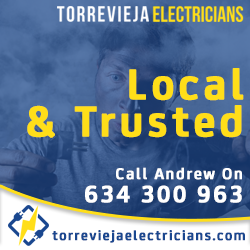 Having said that, the selection of Torrevieja nightclubs available offer a fantastic night out and are fun, funky and kitted out with the latest sound and lighting equipment. Dance floors range from smaller, low lit affairs surrounded by seating areas, similar to a jazz bar ambience, to huge areas with podium dancers, light shows, smoke machines, foam machines and upper galleries to look down on all the action. One of the great things about the city’s clubs is the majority have outside areas to enjoy some fresh air. Some have large terraces with their own bars and chill out seating, such as the excellent Love Discoteca where party goers can kick back in one of the large Lebanese style tents, complete with beds !! Nearly all of Torrevieja nightclubs are situated in the same area on Avenida Delfine Viudes. This is in the Polígono Industrial Estate where due to the surrounding commercial and industrial buildings, I presume the clubs get away with banging out tunes until the sun comes up. I would think this saves them thousands on installing sound proofing too, which they most certainly would have to do in the built up residential areas. So, this is great in the sense you can visit a few of the clubs in the same night, going from closing time for one, to closing time in another. Not so good in taxi fares, as the industrial estate is outside the city’s main holiday accommodation and beach areas. Forget all that, you are here to enjoy and enjoy you will. Most of the clubs open around 10pm – 11pm and a must visit is the city’s favourite, OZ Discoteca. Formerly called Pacha, the club has been around for ages and gets full on during the peak summer months with great party nights, an over 21’s bar and a VIP room. Genius Nightclub caters for the party animals that want to go for it from 3pm – 4am with some ”alternative” entertainment thrown in. A favourite with the Scandinavian expats and holidaymakers is Ultra Discoteca, a more upmarket venue with great music and a well dressed crowd. Here you will also find Madisson Club with trendy décor and mainly local clientele. Last but certainly not least is the amazing Niki Lounge, located in a beautiful setting surrounded by boats and yachts in Torrevieja’s marina. Every detail of the club oozes class and luxury, from the décor to the jet set crowd, and to enjoy the privilege of a night out here, make sure you have enough money in your wallet or purse !! Bordering Torrevieja is the popular area of Orihuela Costa that comprises a number of beach side resorts and residential areas. 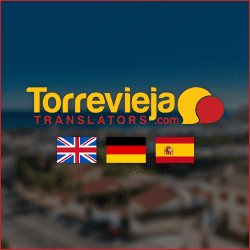 There are large British, Irish and Scandinavian expat communities living here and, unlike Torrevieja, English is spoken throughout the area except for in the supermarkets and scattering of Spanish bars and restaurants. The only proper nightclub is Sala Passion Dance Club, located in the popular Villamartin Plaza and open nightly from 10pm – 7.30am. There are lively music bars in Orihuela Costa and La Mata that stay open well into the early hours and you will find more information on these in our ”Bars” category.